Ruston, Louisiana, is the proud home of Louisiana Tech University. 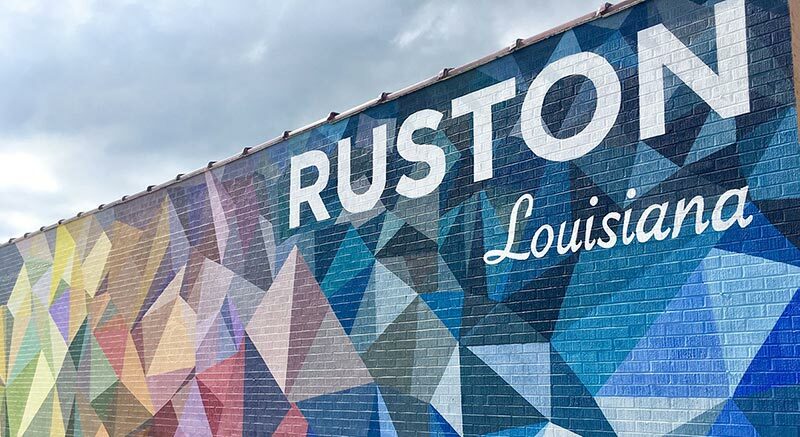 Ruston is situated in the north central part of the state off of Interstate 20, just 30 miles west of Monroe and 60 miles east of Shreveport. A small city with a college-town atmosphere, Ruston is a close-knit community that welcomes students with open arms. Ruston is also a great town for networking and job placement, and many Louisiana Tech graduates make their careers here. Ruston has more than 30 restaurants for your dining pleasure, plus a good selection of fast food restaurants. Shopping in Ruston’s historic 18-block downtown district is full of unique shops selling clothing and antiques. If you need a shopping mall, Pecanland Mall in Monroe is only a 30-minute drive and will fulfill all your major department store and clothing needs. Ruston also has a variety of churches that welcome students. Many of the churches offer an Adopt-a-Student program, which connects you with a local family who will take care of you and occasionally fix you home-cooked meals! There are several lakes within a 45-minute drive of Ruston – Lake D’Arbonne, Lake Claiborne, Lake Bistineau, and Lake Caney. Going to the lakes is a fun break from campus, and many students have access to boats and tubes. One of the most popular parks in the nation is right here in Ruston. Lincoln Parish Park has many miles of bike trails, running trails, and picnic areas on a lake setting. You can fish and rent paddleboats and canoes. The Lincoln Parish Park also holds the national Xterra races, a triathlon event that draws world-class athletes. If clubbing is your thing, there are several local clubs that host bands and karaoke nights. Ruston is known for getting great gigs in smaller venues: from the Goo Goo Dolls to Willie Nelson to Ingram Hill, there is always a concert around town.